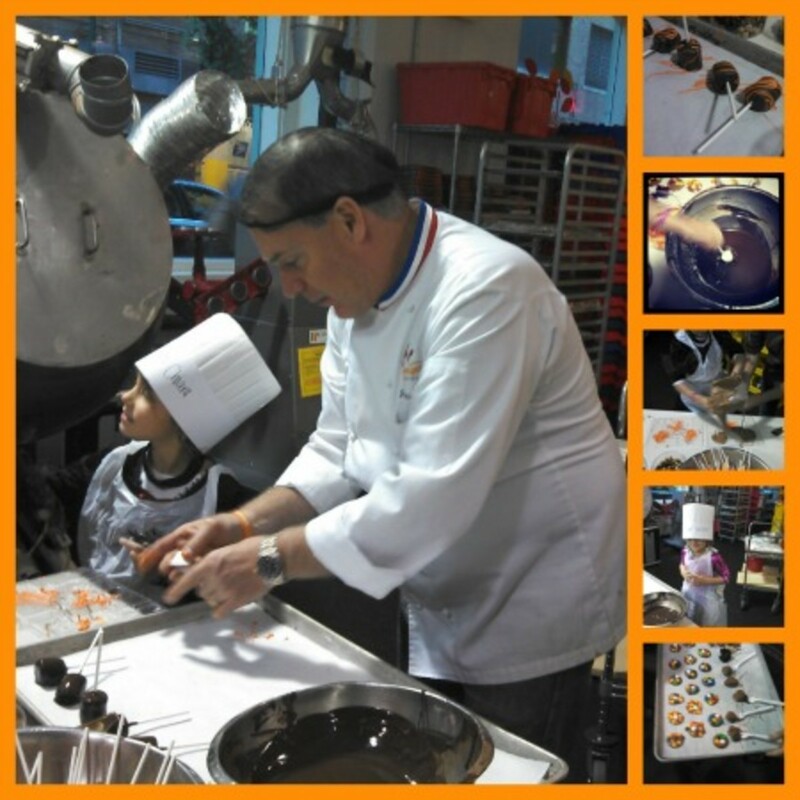 Last week my family got lessons in making sweets from Mr. Chocolate, Jacques Torres. We got to pop into the Jacques Torres Chocolate Factory for a visit. Just in time for Halloween! The gifted dessert engineer was a charming host. 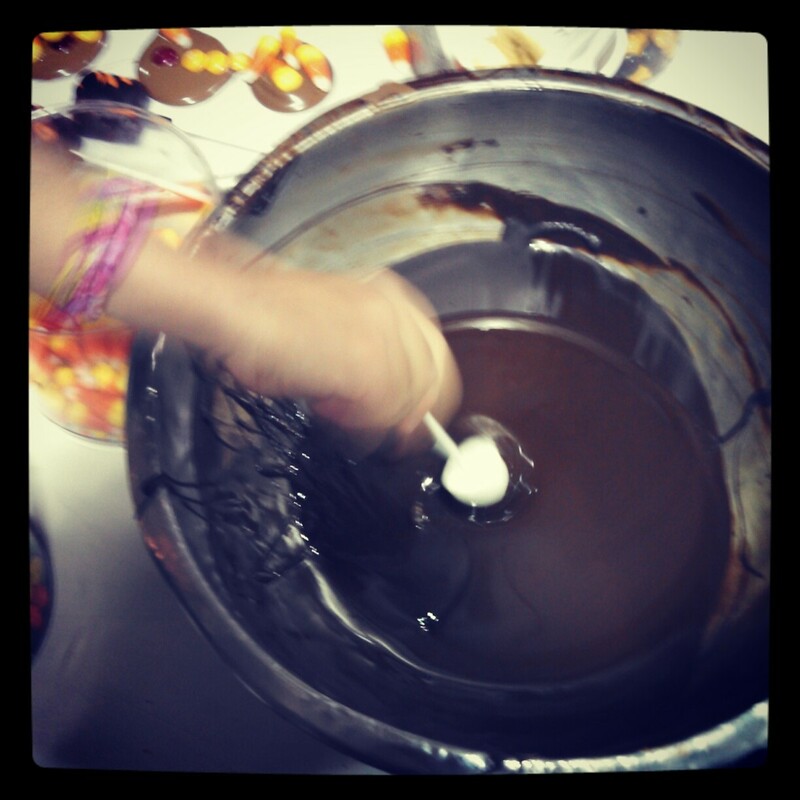 He invited our girls to roll up their sleeves and dig into vats of rich, delicious chocolate. We learned how to make multi-colored chocolate pops, chocolate covered strawberries and flat little discs sprinkled with candy corn. It was good, messy fun. Our little outing took place at Torres&apos; big workshop on Hudson Street in Downtown New York (he&apos;s also got a terrific workshop in DUMBO, Brooklyn). Jacques Torres Chocolate products are hand-crafted with premium ingredients, most of which are made from scratch - from the peanut butter to the cookie dough. On our visit we got to see all the molds and tools Jacques has developed to make his pieces. 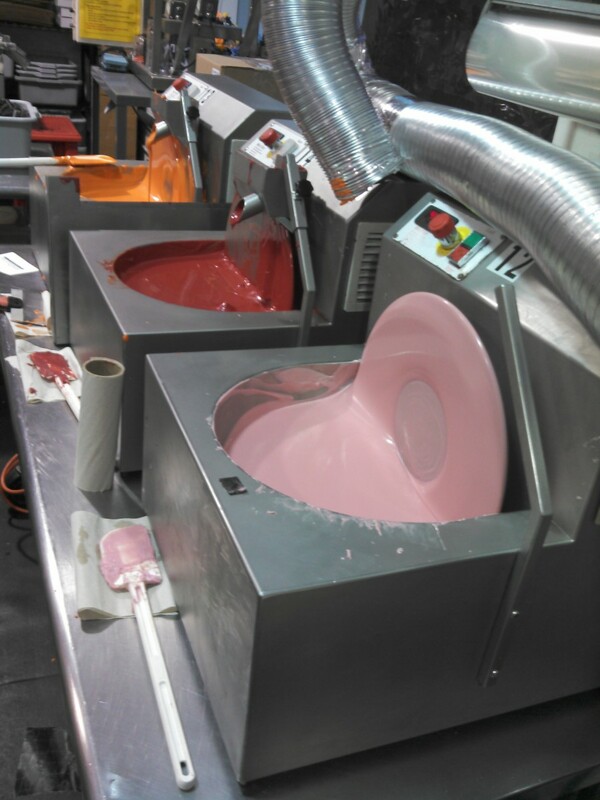 We loved these colorful vats. Reminds me of the Willy Wonka factory! Jacques two studios crank out chocolate non-stop. He doesn&apos;t outsource production and keeps a close eye on every part of the process. Here&apos;s what one of Jacques masterpieces might look like. 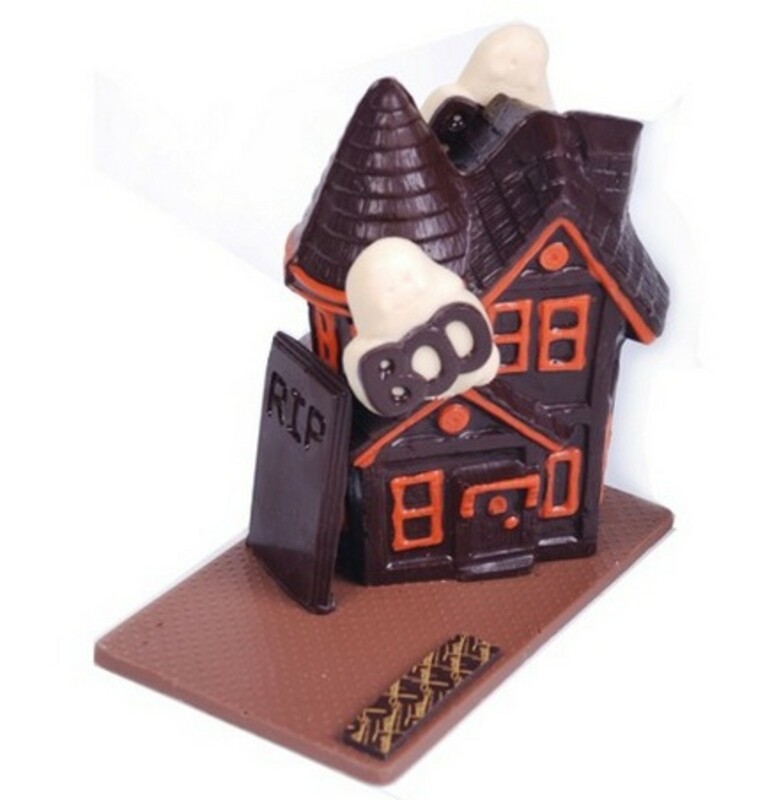 Momtrends was not paid for this Jacques Torres Chocolate Factory Visit post. But we did get lots and lots of chocolate.